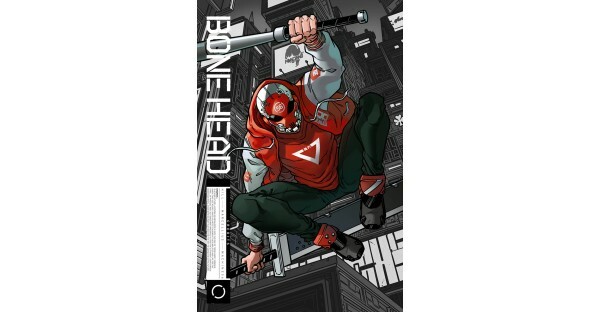 'THE MASK IS WHO YOU ARE' In a near future, a sprawling megalopolis sees the rise of 'Boneheads' parkour-gangs that use neuro-linked helmets to augment their abilities and live for the thrill of physical risk. As a gang war threatens to tear the city apart, a mysterious Bonehead rises, a man with no past that might be the key to saving the city's future. From writer BRYAN HILL (POSTAL) and artist RHOALD MARCELLIUS ( Marvel's Contest of Champions ) comes a story about technological and human revolution.